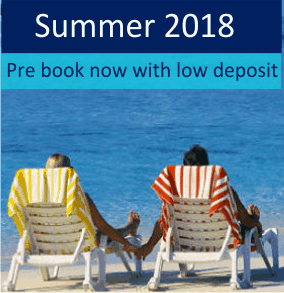 Holidays to Florida in 2018 are now a great way to book early and save! In 2018 the schools in the UK have staggered some of the half term dates to try and ease congestion at the airports, which will help reduce some of the fares at those periods. 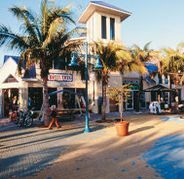 Its always the availability that's the hard part and Total Florida have expert flight finders that with over 20 years expertise, will endeavour to find you availability at the lowest cost. Below we will talk about the peak dates for families with children still at school BUT for those that can pick and choose your dates then we have 3 perfect times of the year at much reduced prices. They are our June 2018 Florida holidays travelling around the 10th - OR Florida holidays in September 2018 travelling later into September the better. Finally our 2018 November Florida holidays are our most popular for couples. 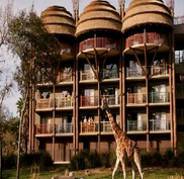 Fantastic Disney Florida holiday flying with Virgin Atlantic and staying at the Animal Kingdom. Cheapest time to travel, just after The children go back to school. 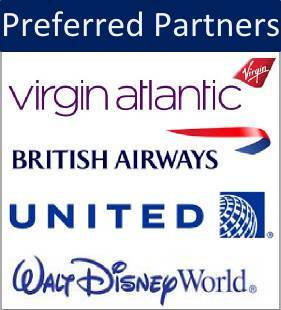 All flights and Disney packages at much reduced prices. Half term package holidays on British Airways from Gatwick staying on International Drive. 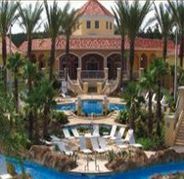 February Florida holidays - half term are very popular so if you could go on the Thursday 13th or Monday the 17th that will keep the cost down. 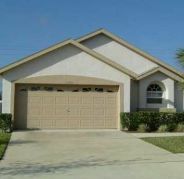 Fantastic Villa Florida holiday flying with Virgin Atlantic and staying in a 3 bedroom villa close to Disney. End of March is just a few days from Easter in 2018 and makes a prefect Florida holidays in March 2018 and for those that need the peak dates we can offer some competitive Easter 2018 holidays. 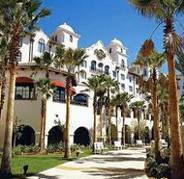 Delta Airlines peak Easter 2018 offers still available including hotel and carhire. April 2018 Florida holidays are split into peak Easter and rest of April. This very popular time of the year means we are offering our peak Easter flights on American Airlines with one change enroute. Fantastic Delta Airline offers even in the school May half term dates. 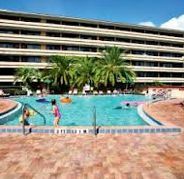 May 2018 Florida holidays in the half term are very popular so if you could go before the 25th May that would help keep the cost down. 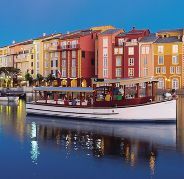 A couples theme park paradise holiday, fly with Virgin Atlantic and staying at the Loews Portofino Bay Hotel at Universal Orlando. June 2018 Florida holidays is another of those less crowded times to go, more popular for couples or those with small children. 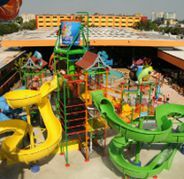 Pre Advance Florida holiday flying with Virgin Atlantic and staying at Orange Tree Resort. If you can take the children out of school a little early in July and travel before the 12th you can get yourself a fantastic July 2018 Florida Holiday. August pre advance special offers travelling on British Airways and staying at Embassy Suites and Sand pearl hotel. Travel from the 18th August and be back just in time for school to grab yourself a pre advance August 2018 Florida holiday offer, or even try out a 2 center Orlando and New York holiday. 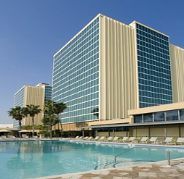 Thomas cook Florida holiday staying at Quality Inn on International Drive. Another popular time for couples, or those able to take the kids out of school, due to ideal weather and reduced queues, make sure to get yourself a real bargain. 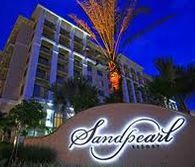 Fantastic Disney Florida holiday flying with Virgin Atlantic and staying at Disney Old Key West Resort. November 2018 florida holidays are our most popular time for couples or families with young children as all the major airline carriers reduce their prices, as this is the least busiest time to travel. 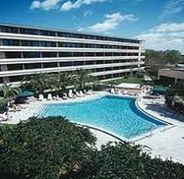 Fantastic Christmas Florida holiday flying with pre advance seats on Virgin Atlantic staying at Rosen Inn. 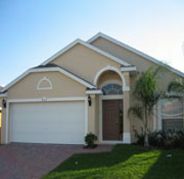 December 2018 Florida holidays staying over the new year is another great time to visit Orlando. Not quite as busy as Easter but Disney really know how to show off with their Christmas carnival.